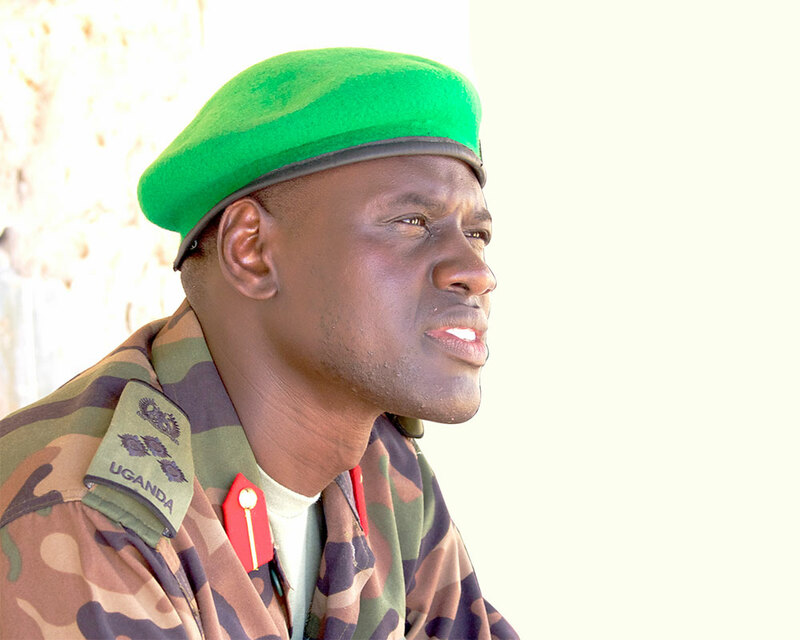 Brig.Paul Lokech, the new Contingent Commander of the UPDF serving under the African Union Mission in Somalia. 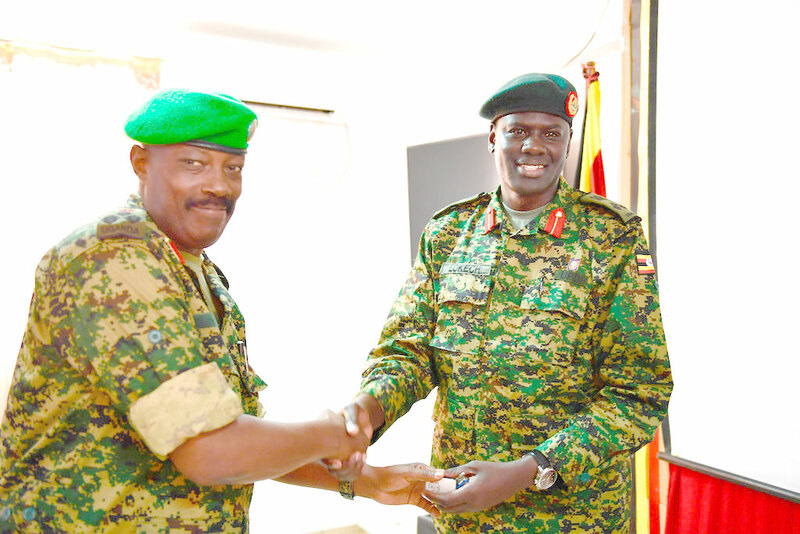 The incoming Contingent Commander of the Uganda People’s Defence Force (UPDF) serving under the African Union Mission in Somalia (AMISOM), Brig Paul Lokech, took over office yesterday a ceremony held in the Somali capital, Mogadishu. 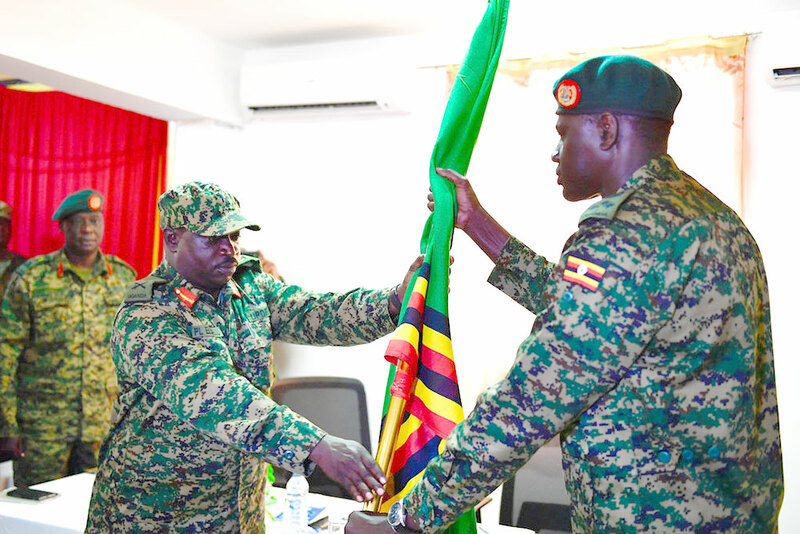 Brigadier Lokech succeeds Brig Kayanja Muhanga, who has completed his tour of duty, having served as Contingent Commander for the past one year. 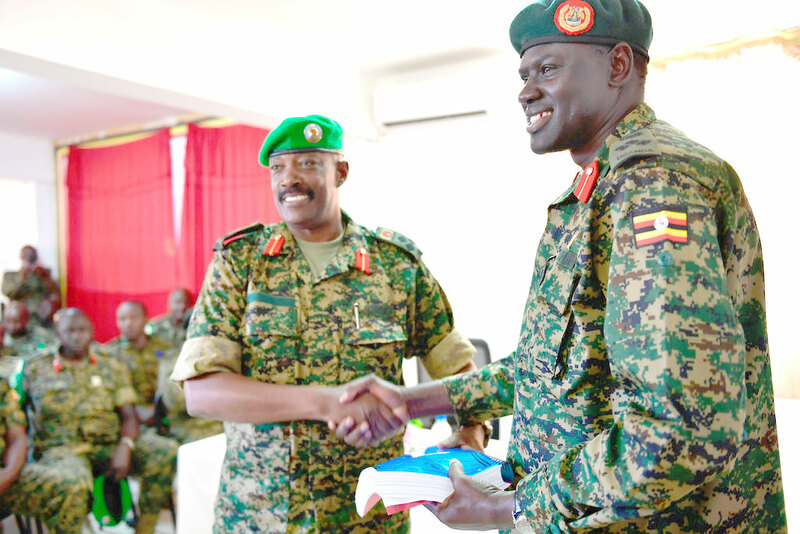 The handover ceremony was witnessed by Maj Gen. Peter Elwelu, the UPDF Commander of Land Forces. This will be Brig Lokech’s second tour of duty in Somalia having served in the same capacity in 2011/2012 period. Speaking at the function attended by senior UPDF officers, Maj. Gen. Elwelu hailed Brig. Muhanga and his team for a job well done and urged the incoming contingent commander to focus on building the capacity of the Somali National Security Forces, ahead of AMISOM’s exit. “You need to focus on the Somali National Security Forces. It is only the Somalis who can bring everlasting peace and stability to this country. Nobody else can achieve that no matter how powerful you may be,” Maj. Gen. Elwelu stated. Maj. Gen. Elwelu said it was time to help Somalis take the lead in the stabilization process. The process of handing over security responsibility to Somalia’s security forces has commenced following a resolution by the United Nations Security Council to downsize uniformed personnel serving under AMISOM to a maximum of 21,626 by the end of this year. Brig. 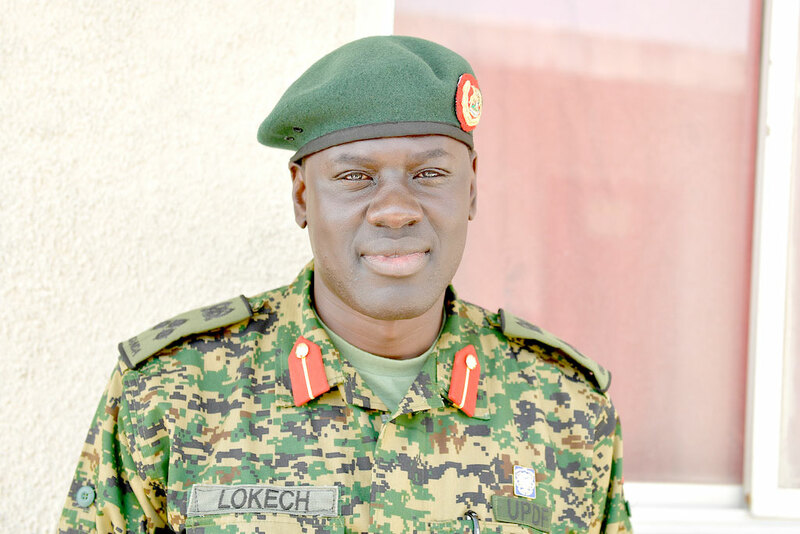 Lokech has served as Uganda’s Defence Attaché to Russia and also as Commander of the UPDF Second Division, a post he held until recently, when he was appointed Contingent Commander for the second time. In his first stint, Brig. Lokech commanded Battle Groups Eight and Nine, credited for ejecting Al-Shabaab militants from Mogadishu in 2011. Maj. Gen. Elwelu hailed the Somali population and international partners for their support and reiterated UPDF’s commitment to the Mission.